Briny Breezes, Florida is a small town of mobile homes on State Road A1A. 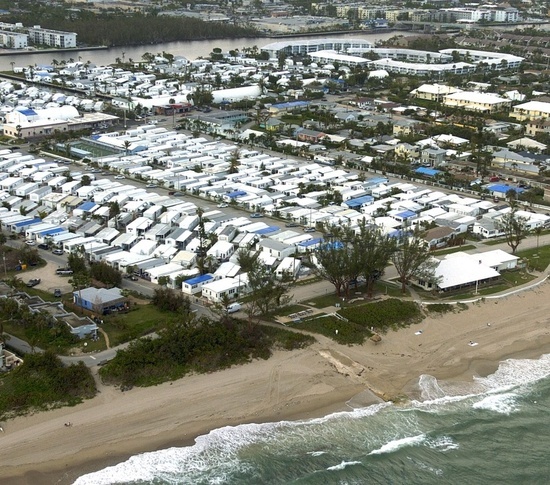 Trailer parks are a dime a dozen in Florida, but people who pass by Briny Breezes get a different feeling about this one. 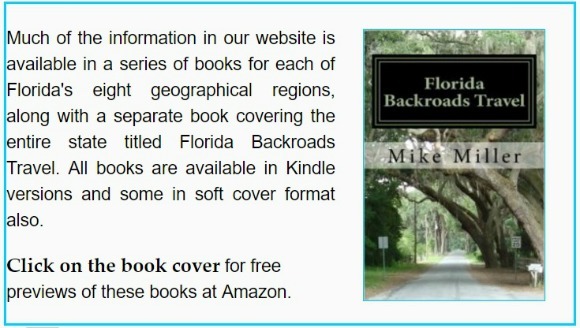 For starters, it is located on the barrier island that separates the Intracoastal Waterway from the Atlantic Ocean. How many trailer parks can say that? Or mobile home communities or manufactured home or modular home communities? 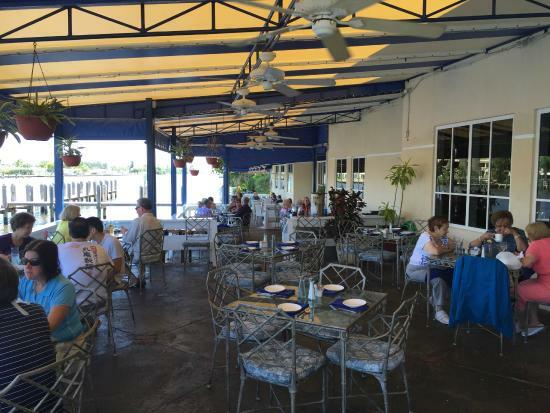 Briny Breezes is across the Intracoastal Waterway from Boynton Beach and Delray Beach. It is nestled in on the barrier island between the upscale oceanfront communities of Ocean Ridge and Gulf Stream with their multi-million dollar homes. The 2010 census put the population at 601. 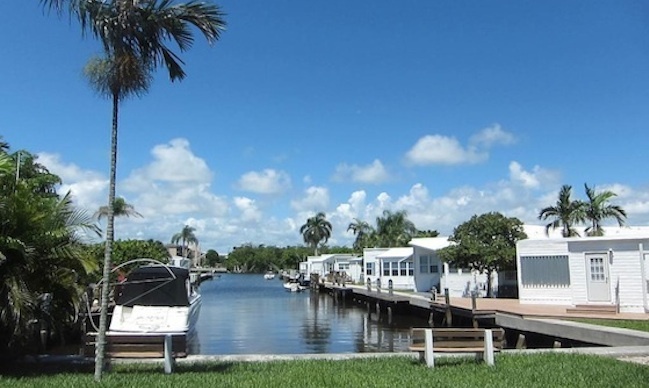 It is one of only two mobile home parks in Florida that are incorporated towns. A Michigan businessman named Ward Miller started a strawberry farm on the current town site in the 1920s. During the Great Depression, he permitted "tin can tourists" to camp on his farm. These tourists - most from northern states - spent a lot of time in their trailers and loved being right on the ocean. Miller advertised his trailer park in northern newspapers, including the Chicago Tribune, and emphasized his park's $3/week lot rent. 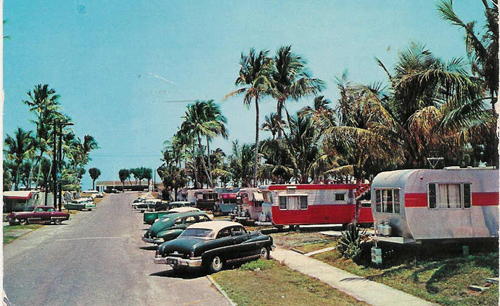 In 1958, Miller decided to retire and offered to sell the trailer park to the campers. He charged from $2,000 to $2,500 per lot. The campers got together and bought the park and incorporated it as a town in 1963. In the early days most of the town's residents only came down during the cold winter months. It was primarily a "snowbird" community, but today the majority of the residents live in the town full time. Most of them are retirees. The Briny Breezes community center is in a building on State Road A1A along with a pharmacy. The Town Hall is in another building on A1A that also houses a beauty salon. 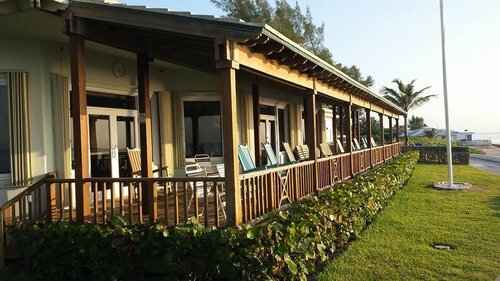 About half of the homes are on the ocean side of A1A and the others are on a parcel that fronts on the Intracoastal Waterway with a marina and several canals. Several Quonset hut style buildings on the west side of A1A house various town offices, storage areas, and a community church. 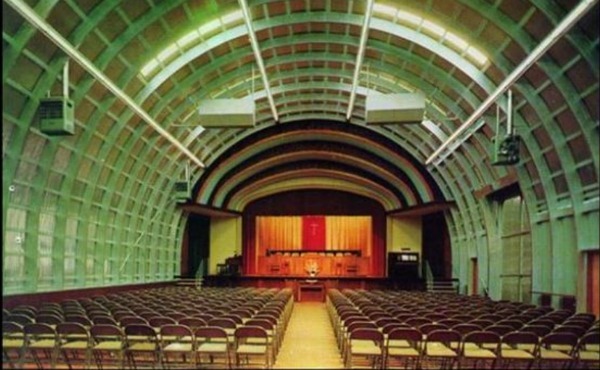 There is a large community building directly on the ocean beach. The town has a pleasant feel, friendly attitude and sense of community. Briny Breezes, Florida almost disappeared in 2005 when a developer offered $510 million to buy the entire town. This would have resulted in each lot going for a bit more than $1 million. The majority of the town's citizens voted to accept the offer, but the deal fell through in 2007 during the negotiation phase. 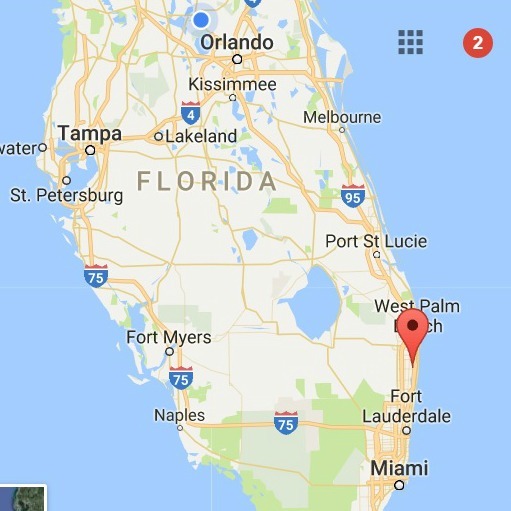 According to Realtor.com, homes for sale today (2017) in Briny Breezes range in price from $139,000 to $1,200,000. The average asking price is about $250,000. 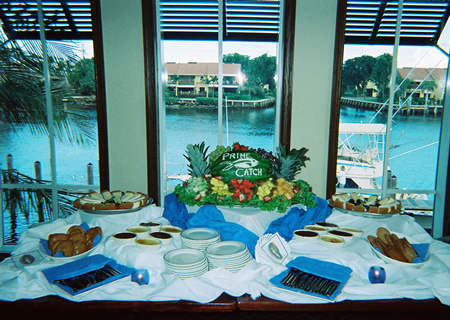 Prime Catch is a seafood restaurant on the water across the Intracoastal Waterway from Briny Breezes. It is located at the western end of the Woolbright Road bridge in Boynton Beach. The view of the waterway is great from most of the seating, but especially so from the outside deck. The restaurant is very popular with locals for lunch, Happy Hour, and dinner. As the name implies, seafood is the specialty of the house. Most of their seafood is local, but they also import some favorites like Maine lobster, Maryland blue crab, and Boston cod. The interior has large windows overlooking the waterway and a nice fully stocked bar. The bar staff makes great drinks and are extremely good with their Bloody Marys. The service staff is friendly, from the hostess who greets and seats you to your server. Seafood entrees include the fresh catch of the day, and one of their specialties, the Prime Mixed Grill with lobster tail, jumbo shrimp, sea scallops. Their vegetables are also great - especially asparagus - and they can handle vegetarian or gluten free requests too. Like most good restaurants, they haven't forgotten the landlubbers. The menu includes burgers, prime rib, ribeye, filet mignon, organic chicken, and an entree of seasonal vegetable tempura. You can also make a great meal at the bar with just appetizers including tuna tacos, grilled Spanish octopus, wild shrimp and avocado toast, and many other offerings. This is not a cheap restaurant, but you have great service and awesome views of the waterway. You are across the waterway from million dollar homes - even mobile homes - and location is everything not just in real estate but restaurants too. They are open 7 days a week from 11:00 am until 10:00 or 11:00 pm. Happy Hour is Monday through Friday from 4:00 pm to 7:00 pm. June is a great month in Florida, but it's starting to get hot and humid. One good thing is most of the snowbirds are gone for the summer so the lines are shorter at our local restaurants.